Satan still weaves crooked paths in the lives of people today through the perverse spirit. Since the church has, for the most part, relegated this twisted serpent to the homosexual community, most Christians have no clue how the perverse spirit works in their lives, homes, and churches. 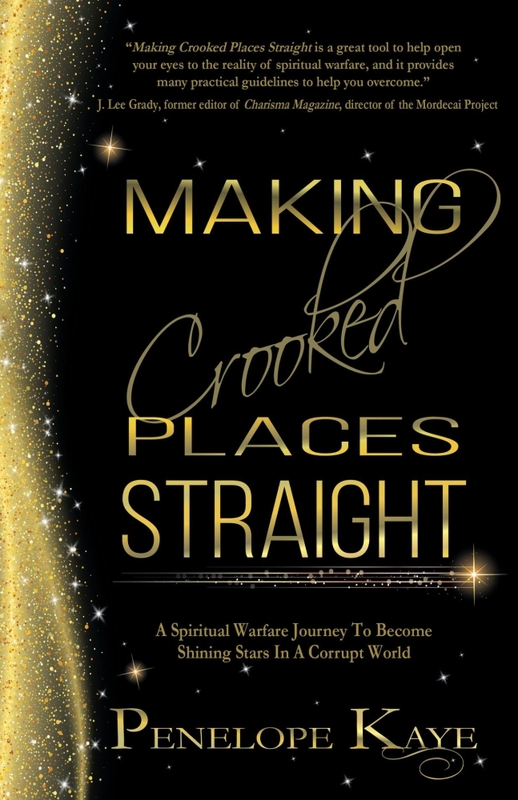 In Making Crooked Places Straight, Penelope Kaye intertwines real-life experiences with solid biblical foundations to navigate this spiritual warfare journey. Her prevailing prayers, practical tools, and powerful weapons teach readers how to recognize and overcome this twisted serpent. Turning the pages, they will experience a roller coaster of emotions as they find the strength to press on, increase their faith in God, and discover how to shine like stars in the midst of a crooked and perverse generation. Amazon, Barnes & Noble, Books-a-Million, IndieBound, Indigo, and Powell's.